Daniel Jacobs is gunning for a Middleweight World title unification battle with Canelo Alvarez in 2019 – and the IBF World ruler says their showdown is one of the biggest fights in boxing. Jacobs will be ringside at Madison Square Garden in New York on Saturday night as Alvarez looks to become a three-weight World champion when he challenges WBA World Super-Middleweight champion Rocky Fielding – with the Mexican king making his debut on streaming giant DAZN, with the clash also live in the UK on Sky Sports. 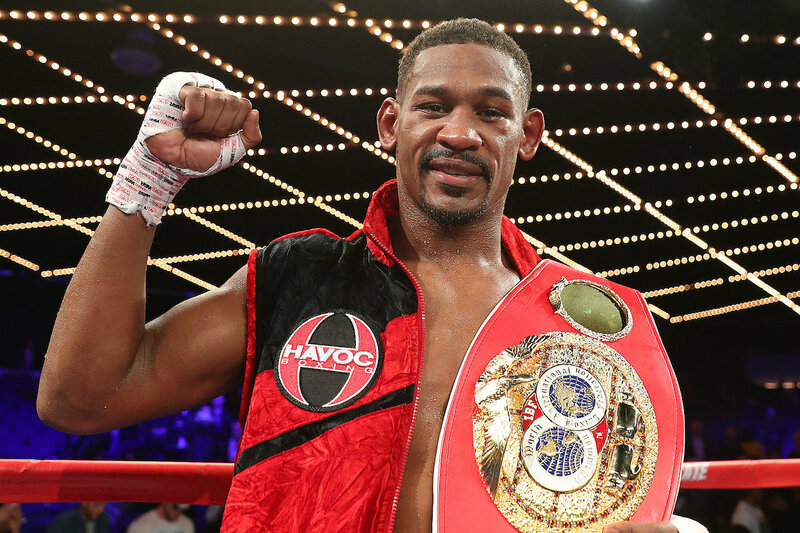 Jacobs became a two-time Middleweight king at the Hulu Theater at Madison Square Garden in October with victory over Sergiy Derevyanchenko in a fight of the year contender in the Big Apple. Canelo is moving up from 160lbs where he holds the WBA and WBC titles following his win over Gennady Golovkin in their rematch in September – and Jacobs wants Canelo to return to Middleweight and put his titles on the line in a huge Cinco de Mayo showdown. “I’ll be there front and center on Saturday night – it’s no secret that my focus is on Canelo,” said Jacobs. “There is no other fight in boxing I want right now more than him. “I did what I had to do and beat Derevyanchenko, a guy nobody wanted to fight and claimed a piece of the Middleweight crown. Now it’s time to unify. I believe that I am the best Middleweight in the world, and he thinks he is, so let’s put it all on the line.